The accessible entrance is on the left side of the building. The 42-room Jacobean Revival, Jones Hall, was designed by Charles Rutan and Frederick Russell and completed in 1910. Before starting their own firm in 1896, both architects worked for H.H. Richardson and assisted in the completion of the Allegheny County Courthouse. 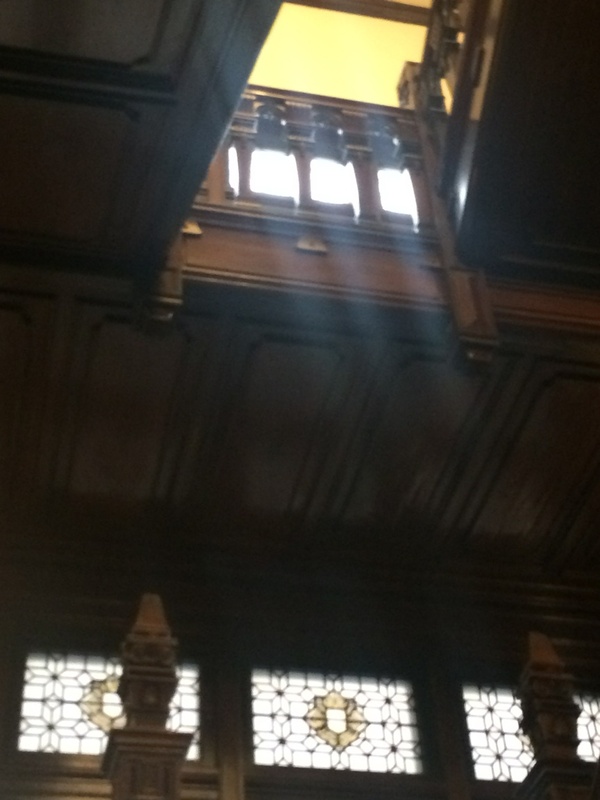 There is beautiful woodwork in the building, a gorgeous marble fireplace, and a multitude of stained glass windows. The ceilings are also very unique and intricate. The mansion, currently part of Community College of Allegheny County’s Allegheny Campus, was formerly the B.F. Jones, Jr. house. His dad, B.F. Jones, Sr. is better known as a co-owner of the Jones and Laughlin Steel Company. It was built in 1910 and is one of the last great houses of the industrial millionaires on Ridge Avenue, known as Millionaire’s row.